RCI, the global leader in timeshare exchange and one of the Wyndham Worldwide family of brands, has significantly enhanced its RCI® Weeks program to allow members to know the trading power value of their vacation interval once deposited with RCI. For the first time in its 36-year history, RCI Weeks members are able to compare the trading power value of their deposited week to the trading power value of the timeshare they want to exchange into. 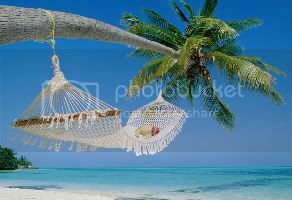 Plus, they can combine deposited timeshare intervals, allowing them to transact into higher-valued vacations. And to provide even greater benefit, RCI will for the first time be providing its Weeks members with a “Deposit Credit” if the trading power value of their deposited interval is greater than the interval they have exchanged into. “In the increasingly transparent online vacation planning world that we live in, this is something our members have been consistently asking for. It’s one of the most exciting things we’ve ever done for our members”, said Geoff Ballotti, CEO, RCI (shown in photo). “Transparency is important because people want to have more control over how they trade their timeshare vacation for another vacation they’d like to take. From our customer service, marketing and technology teams – we’ve brought together our entire company to solve for our members’ request to give them what they want in terms of knowing the trading power value of their deposited timeshare week and what it will take to get them to where they want to vacation, allowing them access to vacations that they might not have been able to book in the past”. RCI began educating members on these new developments on RCI.com and in the October edition of its Endless Vacation magazine, explaining how trading power transparency, deposit credits and combining deposited weeks will greatly assist them in their future vacation planning and provide them with more choice, flexibility and value in their future vacation planning. These significant upgrades follow RCI’s continuous work to develop new innovations for its members that make vacation planning fun and easy. There's a veritable firestorm in the media regarding the TSA (Transportation Safety Administration) full body scan and pat-down airport security checks. All of this sudden hoopla regarding TSA security checks is due to the change in procedure in how pat-downs are conducted, put in place by the TSA the beginning of November. The new methods, says ABC News, are much more invasive, with same-gender screeners feeling under breasts and up passengers' thighs to their crotches. A November 23, 2010 ABC News article attempts to calm the media frenzy a bit by pointing out that the TSA estimates that 2 million people fly each day but that the agency has received only approximately 2,330 complaints specific to these pat-downs since the procedure went into effect nationwide on Nov. 1. Roughly 340,000 people have been subjected to more intense searches - just 1% of the 34 million travelers since the new procedures took effect. 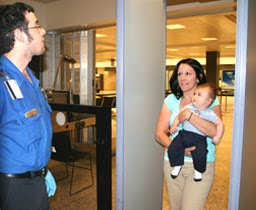 Don't set off the metal detector. Plain and simple. There's certainly no way to ensure that a TSA official won't deem you a candidate for the more intensive security checks, but not triggering the alarm of the metal detector will definitely minimize the possibility. As reported in the ABC News article, Anne Banas, executive editor of travel web site SmarterTravel, said "there's not a ton you can do" to avoid the pat-downs but that good preparation can lower your odds. "Be really, really smart before leaving the house," she said. That means putting any spare change and jewelry in your carry-on bag long before the security line. Take off your belt, avoid clothing with excessive zippers, and women - don't wear an underwire bra. If you have screws or plates in your body, declare that upfront to the screener. 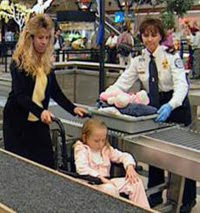 ABC News also pointed out that children 12 years old and under who require extra screening will receive a modified pat down; all passengers have the right to request private screening at any point during the screening process; and everybody has the right to have a traveling companion present during the private screening. For more information about the pat-downs, TSA carry-on rules or anything else about airport security, check out the TSA's traveler tips section. Do you like to try exotic food? Over the past couple of decades Thai cuisine has become more and more popular across the United States. When you rent a timeshare in Thailand you can learn first hand how to prepare Thai food in your own home. The Thailand city of Phuket and Phuket Island, is renowned for its many cooking schools, developed with the foreign visitor in mind. You learn to prepare such Thai favorites as Som Tum (spicy green papaya salad), Tom Ka Gai (chicken coconut milk soup) and Nhue Phad Prik Thai On (stir-fried beef tenderloin with young peppercorns in oyster sauce). "A Thai meal is a feast for the senses, a medley of flavors, textures and aromas, it is a mastery of herbs and spices borrowed from many cultures and blended especially for a distinctly Thai taste," said a JW Marriott Ginja Cooking School spokesperson. The JW Marriott Phuket Resort & Spa in Phuket, has launched Ginja Cook, "a contemporary learning facility which introduces rich Thai cuisine heritage." Ginja Cook’s “Everyone is Welcome” approach offers personalized individual, family and group culinary courses. Another cooking school on Phuket Island is "Pat's Home Thai Cooking," globally renowned as the first and the best Thai cooking school in Phuket. Owned and run by Khun Patcharin, these cooking classes are actually taught in Pat's home, giving "home style" a whole new meaning. Having spent 8 years in California working as a chef, Pat knows what ingredients are available for American home cooks in their local supermarkets. So while Pat will suggest basic cooking ingredients that may be hard to find in your home town, she will always offer alternatives that can be substituted. Saowaluck Wongpong runs the Phuket Thai Cookery School which offers 1-5-day classes. Each class is designed as a one day class so you can select which classes most interest you. The comprehensive course includes introduction to Thai ingredients with an actual market tour. Other Phuket cooking schools include Kangsadaan Thai Cooking School and the Pum Restaurant Cooking School. At the Desserts Workshop you'll learn how to make such traditional Thai desserts as Sangkhaya (egg custard), Luk Chup (fruit-shaped desserts made of mung-bean flour), and Kluai Buat Chi (banana in coconut cream). A timeshare rental on Phuket Island gives you a fabulous beach vacation, with an exotic cooking flair. A perfect vacation for foodies. The Hospitality Sales and Marketing Association International (HSMAI) has chosen J.W. Marriott, Jr. as recipient of the Albert E. Koehl Award for lifetime achievement in hospitality advertising and marketing. He will be accepting the award at HSMAI’s annual Adrian Awards Gala on January 31, 2011, at the New York Marriott Marquis. The award is given to people who have made a sustained and lasting commitment to excelling in the travel and hospitality industry. J.W. 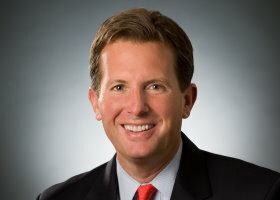 Marriott, Jr. is chairman and chief executive officer of Marriott International, Inc., a leading lodging company with more than 3,500 lodging properties in 70 countries and territories. Marriott International operates and franchises hotels under the Marriott, JW Marriott, The Ritz-Carlton, The Autograph Collection, Renaissance, Residence Inn, Courtyard, TownePlace Suites, Fairfield Inn, SpringHill Suites and Bulgari brand names. 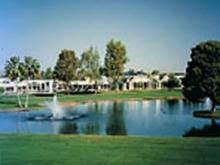 It also develops and operates vacation ownership resorts under the Marriott Vacation Club, The Ritz-Carlton Destination Club, and Grand Residences by Marriott brands; licenses and manages whole-ownership residential brands, including The Ritz-Carlton Residences, JW Marriott Residences and Marriott Residences; operates Marriott Executive Apartments; provides furnished corporate housing through its Marriott ExecuStay division; and operates conference centers. Known throughout the industry for his hands-on management style, JW Marriott has built a highly regarded culture that recognizes the value of Marriott employees. Today, approximately 300,000 employees are serving guests in Marriott managed and franchised properties throughout the world. The HSMAI Adrian Awards honor creative brilliance and best practices in hospitality, travel and tourism-related marketing. In its 54th year, the competition has evolved into the world’s most renowned and prestigious advertising, public relations and digital marketing competition customized to the hospitality, travel and tourism industries. For information on the HSMAI Adrian Awards and the Gala, visit www.adrianawards.com. HSMAI is the hospitality industry source for knowledge, community, and recognition for leaders committed to professional development, sales growth, revenue optimization, marketing, and branding. With a strong focus on education, HSMAI has become the industry champion in identifying and communicating trends in the hospitality industry and bringing together customers and members. Breckenridge, Colorado, is home to world-class skiing, an historic downtown built during Colorado's 1850's Gold Rush, and some great timeshare resorts. Even through the economic down-turn of the recession, Breckenridge Grand Vacations is one company that has continued going onward and upward and never looked back. 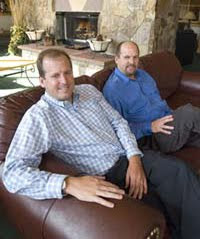 Started in 1985 by brothers Mike and Rob Millisor (see photo), Breckenridge Grand Vacations operates three timeshare resorts in Breckenridge: Grand Lodge on Peak 7, Grand Timber Lodge and Gold Point Condominiums. From 2009 to 2010 Breckenridge Grand Vacations experienced an 8 percent increase in gross sales dollars from 2009 to 2010 and a 5 percent boost in sales transactions over the same time. Mike and Rob are committed to creating great family vacations. Their solid, 4-component business philosophy, comprised of investors, owners & guests, employees and the community, has given them the focus for their incredible success in the vacation ownership business in Breckenridge. “We are encouraged by the continue growth in our owner base, and we believe our product fits the needs of our clients who want deeded ski-in, ski-out ownership without paying millions of dollars for it,” Breckenridge Grand Vacations chief financial officer Nick Doran said. The leadership team at Breckenridge Grand Vacations is very involved in the American Resort Development Association (ARDA), the national organization that "fosters and promotes the growth of the vacation ownership industry and serves its members through education, public relations and communications, legislative advocacy, membership development, and ethics enforcement." Breckenridge Grand Vacations has also received the Better Business Bureau Torch Award for Marketplace Ethics, given for consistently fair and honest treatment of customers, owners, guests and employees. To this day, Mike and Rob believe in a hands-on management style that ensures the level of excellence. The brothers have made Breckenridge home for their families during the past two decades, and are actively involved in the community. Learn more about Breckenridge in the winter and in the summer.